Once a trust or trusts are formed, as the underlying assets of the trust will not form part of your estate when you die and you are incapable of dealing with such assets under your Will. Careful thought must be given as to how to pass control of those trusts to the next generation. This largely cannot be done under a Will. Trusts take various forms. A trust can be for a charitable purpose, such as a charitable trust. A trust can have issued units leaving the unit holder having a fixed interest in either capital or the income of the trust. This is called a unit trust. A trust may be established for a whole group of beneficiaries with none of them having a fixed interest but only capable of receiving a benefit at the discretion of a trustee. This is called a discretionary trust. Discretionary trusts are and remain very popular and for good reasons. As the saying goes, someone must be in charge. The trustee is the person (or persons up to four) you designate to be in charge of the trust. The trustee can also be a company. A discretionary trust may hold a number of assets. These can include cash, real estate, shares, cars, boats, art works or any chattels you wish. Every discretionary trust must have beneficiaries who are those persons who may benefit under the trust. There is usually a definition of beneficiaries in a discretionary trust, and could be the person you wish to benefit together with their children, grandchildren and any other specified persons or entities. 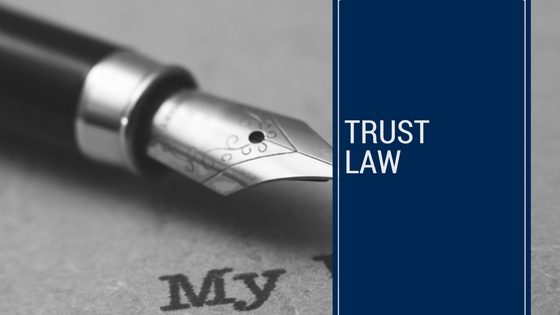 The trustee of a discretionary trust may be given an absolute discretion in distributing some or all of the capital and/or the income of the trust from time to time in various proportions, amounts and categories to the beneficiaries of the trust. In exercising this discretion the trustee decides who gets what and when. This could be important for tax reasons and asset protection reasons.